Teddington Pilates is a centre of excellence. 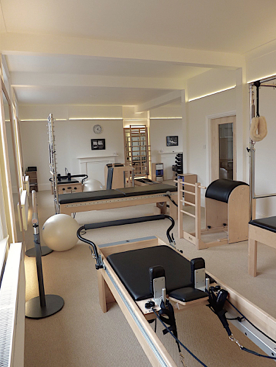 Located in the heart of Teddington, South West London in an impressive purposely created, fully equipped Pilates studio, offering individual instruction on specialised Pilates machines with expert instructors. We are not only experienced at helping individuals with their sporting and fitness requirements; we are a highly experienced and very well equipped centre offering clinical and remedial Pilates and exercises, assisting in rehabilitation of minor to major injuries and operations; pre and post natal rehabilitation. We help sports people from swimmers to cyclist & rowers to runners develop their potential, helping you with Sport Fitness & general life fitness. 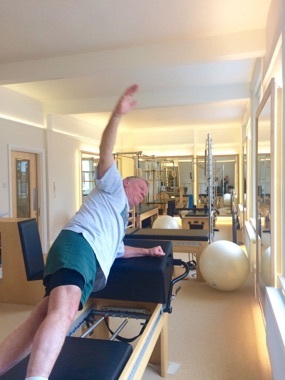 In our stunning, light & airy purpose-built Pilates studio, we help clients recover from hip, knee replacements, spinal injuries, low bone density (osteoporosis & osteopenia) & off-set the negative impacts of computer posture & poor gym instruction. We are experts in Pre & Post Natal exercise, we prepare you for birth & normalise the new you after, helping Pelvic floor stress & dysfunction. Specialists in Pilates for Neurological conditions and MS, developed with the MS Society. Teddington Pilates is at the forefront of research into exercises counteracting low bone density. We carryout research with King’s College London, creating exercises for astronauts on long duration space flights and the osteoporotic here on Earth. Recently, King’s College London’s Centre of Human & Aerospace Physiological Sciences (CHAPS) established a physiology laboratory in our Teddington Studio. 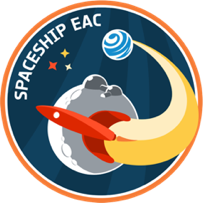 We have created countermeasure exercises for astronauts in microgravity. 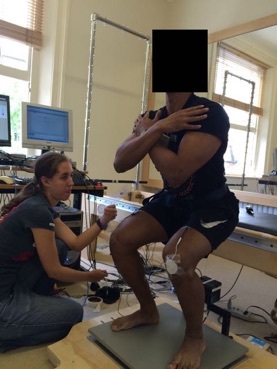 King’s College used our work for their MSc in space physiology and human research. With a higher level of individual attention; sessions are taught as an initial assessment (1 to 1) and studio sessions (up to 4 to 1). Clients receive a detailed postural assessment, identifying individual requirements and then a tailored programme is constructed to help regain functional movement and assist long-term goals and pain control. The studio sessions give the focus on you as an individual. 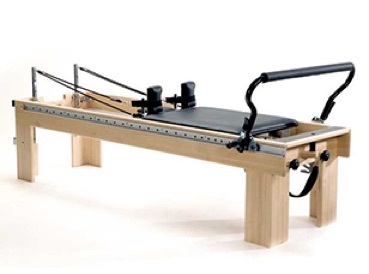 The Pilates machines, like the reformer (seen below) utilise spring loaded resistance, gravity and movement to assist or challenge the body as required to perform the exercises; and the support available from the apparatus facilitates the ability to target very specific muscle groups that can be difficult to identify without the apparatus feedback. 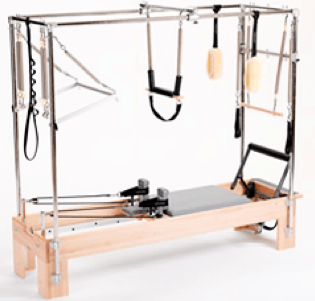 Certain medical and rehabilitation conditions benefit from studio Pilates sessions. 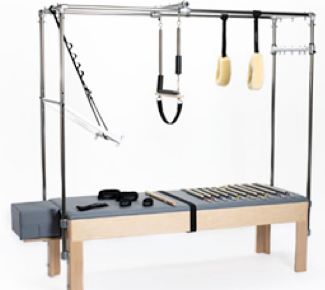 Teddington Pilates Studio will be happy to advise you on your individual needs. The Studio regularly takes referrals from GPs, osteopaths and physiotherapists and we are linked to King’s College London who are researching our work. One of the most successful sports magazines, FourFourTwo, experiences Pilates, exercise and more at Teddington Pilates Studio. 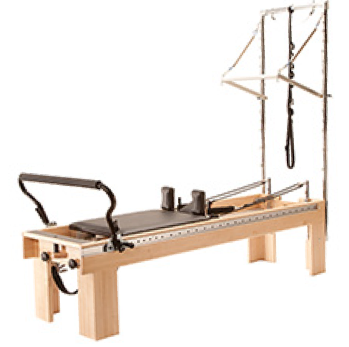 “It is my great pleasure to make note of my experience with Johnny Kennett, who has instructed me in Pilates for the past several months. I have had frequently-recurring, very intense knee pain since my university days 35 years ago. After a lifetime of failed therapy, exploratory surgery and medication, I long ago resigned myself to conflicting tentative diagnoses, limited activity, frequent discomfort, and occasional excruciating draining of the joints when they became too swollen to bend. Both knees have been involved, though usually one at a time. I have seen personal trainers thrice-weekly for much of the last 20 years, though I recently stopped in order to try Pilates instead. Most of my old trainers recommended strengthening certain muscles around the knee, and gave me exercises for it, but very little relief ever came about. Indeed, some of the exercises did more harm. Then came Johnny. He quickly agreed that muscle-strengthening, and improved walking motions, could be of help. However, this time - for the first time in my life - I was given a program which within two months had relieved 90% of my knee problems. In the subsequent six months, I have not had a single recurrence of knee pain (apart from one foolish gardening-enduced episode). Needless to say, I am dumbfounded by this success. the exercises are unsettlingly EASY and gentle. I was entirely sceptical that such modest effort, however focussed it might be, could possibly do much good. And yet, I no longer dread stairs, and I’ve gone off my permanent diet of Naproxen (and Omeprazole, its necessary stomach-protective partner drug). 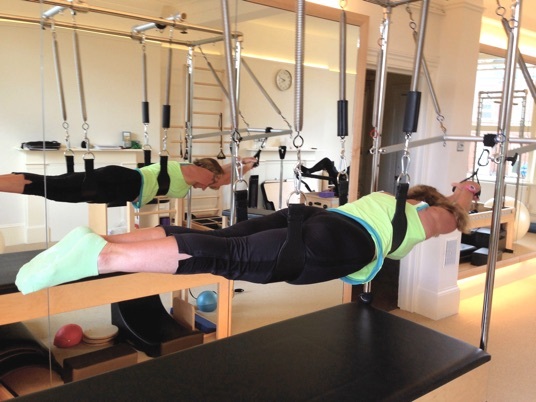 “I have been attending Pilates classes with Tessa for over 12 years. As an ex competitive ice skater I have had numerous injuries and Tessa has been helpful in every way. I have had many one to one sessions with her and she has devised a programme to help with the injuries. I have been able to put off having a knee operation thanks to Tessa’s regime. I have been diagnosed with Osteoarthritis and the consultant was very happy that I attend regular Pilates classes. I feel very safe in her hands and never worry that the exercises I am given will be detrimental to my wellbeing as she monitors us all very closely to ensure we are doing everything correctly. I feel extremely lucky to have found such a dedicated and knowledgeable instructor. Tessa very kindly helped my daughter who is a British Champion Ice Skater and did work with her leading up to major competitions. She helped with her core stability and flexibility, as well as a couple of injuries that she had sustained during falls. “As I walked in through the front door I was greeted by John E Kennett, who is described by big names in dance and sports as a guru. This was justified when, during my postural assessment and treatment, he picked up on imbalances in my body that an osteopath recently missed. Have your medical history on the tip of your tongue as you’ll be quizzed and the more information you give the more beneficial your treatment will be. Kennett’s masterful knowledge of anatomy is matched by his ability to apply your body to the various machines, fitting the purpose of your treatment. With the accuracy of a Royal Marine and his rifle, he targets the exact muscle fibres needed to regain muscular balance. “In 2014 after 2 unsuccessful attempts at swimming the English Channel I met Johnny at Teddington Pilates. First he set about sorting out my hip injury from being pulled out the water unconscious. Then we started the process of making me stronger and more flexible to have another crack at it in 2015. It did involve rather a lot of glute exercises we all know and love! His experience with performers and other sports people was invaluable when in July we had another attempt which lasted only 4 hours because the weather turned foul and it was thought wiser to walk away from this one and come back when mother nature was in a better mood. As we know the weather this year  has been dreadful and it wasn’t until October I got another chance to try. Through that time Johnny helped me to stay focused, but most importantly calm, with his mental mastery coaching, it was a serious test of nerves. We did it, Thursday 8th October 2015 after 15 hours in the water I completed my dream of swimming the English Channel. “Following the birth of my first son my back was in a lot of pain. I had a combination of an already existing large abdominal hernia, a caesarean section and I was breast-feeding whilst constantly lifting and carrying a baby. There was a point at which I could hardly walk. A whole series of chiropractic treatments did alleviate it although I still had to be careful and I did have relapses. “Through a combination of patience, enthusiasm and good humour backed up with technical expertise at the highest level - never have difficult concepts been explained so clearly - Nikki and John, through excellent instruction, have made me stronger, fitter, healthier and, crucially, more aware of how my body works and what I need to do to look after it. It would not be too fanciful to say that they have improved and enhanced the quality of my life. “Working as a researcher and consultant, I'm keen to make the most of sessions within a time-pressured schedule, & scrutinise the service I get! I cannot fault Johnny's work in any way. I am always impressed with his articulacy desire to help clients to understand how their body works (or not, as the case may be!). This is refreshing when it can often feel that you're kept in the dark & shunted along a production line. Johnny's approach empowers clients to be more in control & proactive when it comes to their own wellbeing so that, ultimately, you're building a long-term solution, rather than simply attending a series of sessions. Across all of this, Johnny achieves the perfect balance between an approachable, light-hearted & empathetic approach, while also conveying a professionalism & expertise that generates unquestionable reassurance and respect. “I am an experienced Pilates teacher, but despite that, I had been unable to stabilize my knee properly following knee replacement surgery. Remarkably, because of his unusual mixture of knowledge, skill and the great care he takes with his clients he was able to help me do the job and release me from persistent pain, within a few months This enabled me to speed up my rehabilitation not just from my knee surgery but serious abdominal surgery. I am still a regular at Teddington Pilates where I find Johnny continues to be a constant help to my thinking in ways to improve my Pilates.